Bittree, a manufacturer of high-quality audio and video patching systems, has appointed longtime industry veteran Ari Baron as general manager (GM). With more than two decades of experience in the pro audio, broadcast, and MI community, Baron will be responsible for day-to-day operations at Bittree including future planning and growth, overseeing efficient manufacturing practices, introducing new products, and developing marketing and sales strategies, effective immediately. Baron is currently based in Bittree’s U.S. headquarters in Glendale, CA and will report directly to Glenn Garrard, CEO. 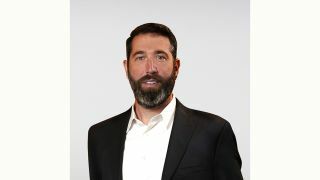 Prior to his hire, Baron served as Eastman Music Company’s vice president of marketing where he managed all marketing, content, artist relations, and creative operations for the company’s global network of brands. Baron also spent years with UCLA as its creative brand manager under the Licensing and Trademarks apparel division. Baron is a voting member of the Grammys, a writer and publisher of ASCAP, a NAMM member, owner of a Hollywood recording studio, and holds a certification in Lean Six Sigma manufacturing and process improvement. He studied marketing at Bentley University in Waltham, MA and recording/engineering at Musicians Institute in Hollywood, CA.